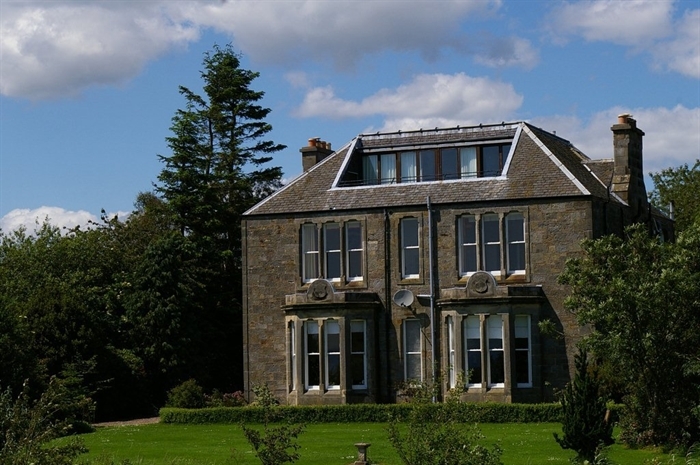 A tranquil countryside retreat, Bankhead offers spacious and comfortable accommodation with glorious, panoramic views over the Firth of Forth to the Bass Rock in the east, the coast and hills of East Lothian, and to Edinburgh to the west. A family home, our 19th century house is a delightful combination of old and new: original architechtural features blended with contemporary luxury and comfort. We offer three lovely rooms for guests who'd like to share this special place with us for a while. Bankhead House nestles about a mile inland of the southern coastline of Fife known as Largo Bay, enjoying stunning views over open countryside and the sea. Our rural location is easily accessible from the main road ( one mile). We're within easy reach of St Andrews and the East Neuk with its charming fishing villages, and Edinburgh is just an hour away. We can recommend places to visit, as well as having brochures, guides and maps to help you make your daily selection of where to go and what to do. Your Aga cooked breakfast is served in the dining room. We use local produce where possible, complemented with our own home grown fruit when in season, and home made preserves. A simpler breakfast choice is also available. Welcome to Bankhead, your space to relax, enjoy and explore.